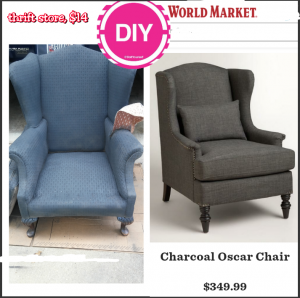 I’ve been looking for a wingback chair for months! Found this $14 chair at my local thrift store and decided to try out fabric paint for the first time to see if I could do a little look for less! !